Lost in the shuffle of the 21st century’s transition to digitized music, is one omnipresent and obtrusive reality: MP3’s just do not offer great quality sound. The format simply doesn’t capture the nuanced and vibrant sound of studio sessions, and instead delivers music in a diluted, watered-down manner. According to Rollingstone.com, musician Neil young is poised to offer a high-quality alternative to services like iTunes — services he thinks offer an inferior listening experience. The project has been dubbed Pono — Hawaiian for righteous — and its aim is to reproduce recordings as they sounded in the studio. Along with Meridian Audio, the legendary songster plans to release a line of high-quality portable music players, coupled with a download service. The service will reportedly utilize a digital-to-analog conversion technology capable of producing digital music files of unprecedented quality. Young’s being backed in his venture by such industry giants as Warner Music Group, Sony Music, and Universal Music Group, all of whom are in the process of converting their album libraries to the new format. Warner in particular had digitized roughly 8,000 album titles into 24-bit/192kHz form before Young was even on board. The willingness of industry giants to embrace the new format suggests that Pono may truly be on track to provide a revolution in the digital music industry. Some are saying the service may even push iTunes to improve its quality, or be pushed aside. 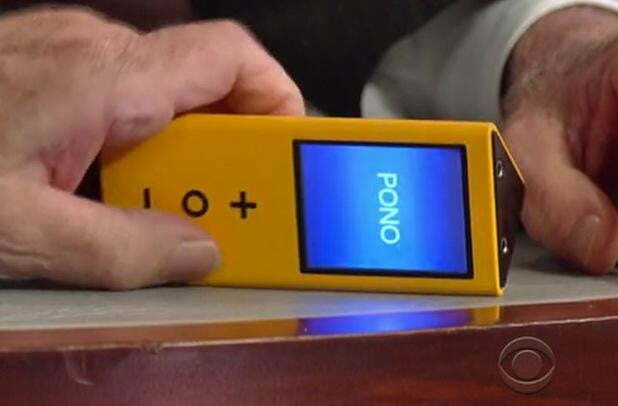 As of yet, there have been no details on release date and/or pricing, but it’s safe to say that the high-end audio Pono purports to offer will come with a hefty price tag; not to mention you’ll need to re-buy any songs you currently own if you want to hear them in the new format. Still, it’s always nice to see manufacturer’s forego quickness and quantity in favor of quality. Stay tuned for continuing coverage.